1 year ago, today, my life changed! On Nov. 2, 2015, the person that I thought I would be with forever decided he wanted out. He decided that we should no longer be together and he was done. Was I mad at him for leaving? NO! I was mad and confused with God! I had questions. God, why did you let me get married if it wasn't going to last? God, why you got me out here looking like a fool? Why? Why? Why?? 1 year and a divorce later I get it! God loved me so much that HE wanted to show me that I was navigating life ALL wrong! My ex had to walk out so that God could walk in and be KING of my life! Sometimes people and situations can blind us to God's presence. I now look at life and love very different. Every loss is really a win when you are submitted to Christ. 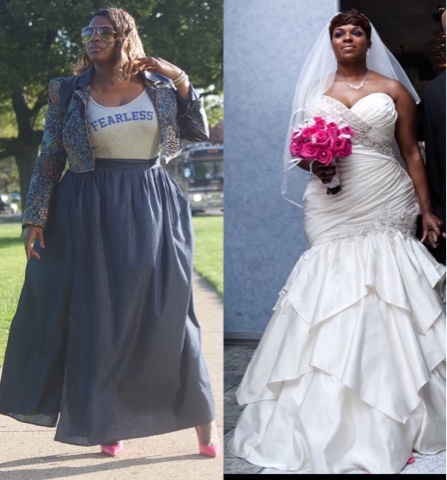 I walked down the aisle by leaning to my own understanding, but now I barely get dressed without prayer. lbvs! This may be extreme to you but the blessings due to that surrender have also been extreme! I fearlessly trust God with every ounce of my heart, my mind, and my BODY and everything in between. I've learned countless lessons this past year and I thank God for them all. I'm not rushing the process, I've decided to enjoy it. I just wanted to share this with anyone who may be going through something that seems unfair, although it may seem wrong, it's an opportunity to TRUST God more! He hasn't forgotten about you! He loves you enough to correct you! Trust Him and HIS process! So today, I celebrate FREEDOM! Not freedom from any man but FREEDOM in Christ!!!!!!! The above was a caption that I left on the picture below just 2 weeks ago on my social media outlets. 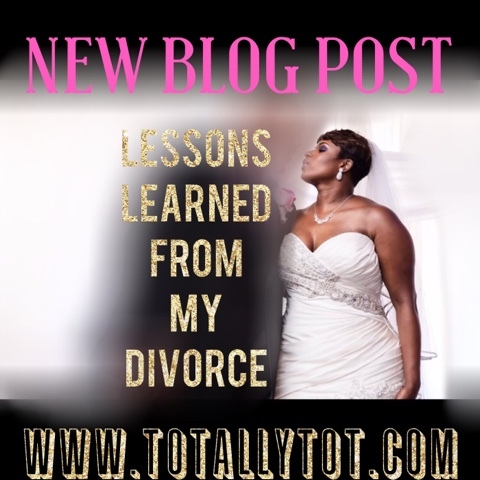 I have briefly discussed my divorce on the blog but decided to go into some more detail. After a tough 2.5 years of marriage, my ex-husband decided that he did not want to be married to me anymore. On November 2, 2015, he decided that he was done. We were separated once before and I was not sure if this time would be the same. But, I knew that God was up to something in my life and if I wanted to get through this situation I would need to keep my mind stayed on Christ. I must add that I am sharing my journey for multiple reasons, and NONE of them are to bash my ex-husband or men in general. I tried my best to make him a small part of the story because the lessons I learned were invaluable and very necessary for my growth. I still love LOVE and marriage and I am looking forward to that full experience, but this time it will be God’s timing and not my own. I was married from August 31, 2013 and my divorce was finalized on March 18, 2016. So many life-changing lessons in such a short amount of time! 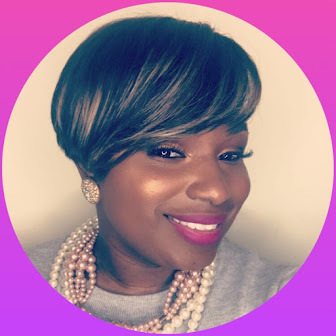 I tried to capture my top 5 lessons and I pray that they bless you as they have truly blessed me! 1. I am not the victim! 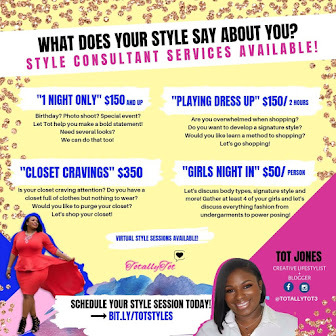 I had to realize that every situation is an opportunity to look at the “man in the mirror.” It’s so easy to point the finger or dissect the situation until it is acceptable to you but what does that really accomplish? Instead of assigning a villain and a victim in every argument and situation, I begin to just ask God to reveal my role in it all. I would pray for God to teach me the lessons that HE would have me to learn. 2 Corinthians 10:5-10 is just so on point and one of the best scriptures to combat overthinking. I have added a few version of is below to provide deeper understanding. We break down every thought and proud thing that puts itself up against the wisdom of God. We take hold of every thought and make it obey Christ. Every version reminds us to make our thoughts OBEY CHRIST! How do I make my thoughts obey Christ?? The only answer is the WORD OF GOD!!! The more that I read and study the WORD of GOD, the more that my thoughts can become captive to that WORD! It is literally the best way to overcome overthinking!!!! 3. Respect is MAJOR KEY! Tina Turner asked, What’s Love got to do with it?” and Mary J. Blige sang Love is all we need but oh Ms. Aretha was on to something when she kicked off the timeless anthem R.E.S.P.E.C.T. My divorce taught me that I honestly was so full of pride, I did not respect many people. I knew how to be polite and appropriate most of the time but I really did not respect many. There was a book that changed my whole perspective on love and respect and made me realize how much I was doing wrong. The book, Love & Respect: The Love She Most desires; The Respect He Desperately Needs, by Dr. Emerson Eggerichs, changed my perspective in a very real way. My divorce taught me that you cannot change anyone. That is SOLEY God’s job! Period. The End. Let it go. Focus On YOU. Lol! As I am typing this, I am chuckling because this is so real! Majority of the time when I speak on my divorce, I speak about my lessons and my role in it. My ex-husband has a pot of issues of his own that is truly between him & God. I will always pray for him, but my growth is my concern. He was not perfect and neither was I. I had to shift my focus from his problems and mistakes to my own problems and mistakes. Many people on the outside did not understand this and wanted to bash my ex, but I was so busy leveling up that my focus was on my own lessons. I had to eliminate all expectations from my ex and keep my eyes on Jesus. I am learning that sometimes people don’t need their flaws pointed out, they may just need to see me fearlessly facing mine which may inspire them to do the same. This is how you GROW through something. 5. 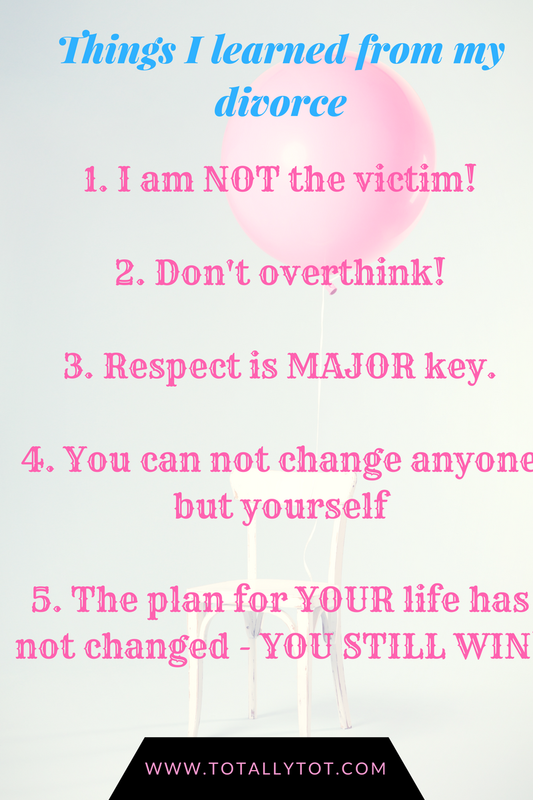 The plan for your life has not changed – YOU STILL WIN! Just because the players have changed, the outcome is still the same….You WIN! Hurt, pain, and disappointments do not change the plans that God has for me. My goal is to keep my eyes focused on the plans and promises from Jesus. Trust me, I have negative thoughts as well but I refuse to water those negative thoughts. What we feed is what will grow. So, I constantly remind myself that God wants me to live an abundant life and no hurt, pain, loss, or disappoint can change that. Every time I endure an obstacle, I am reminded to make that obstacle bow down to my Jesus! I am reminded to make that disappointment work in my favor. Every loss is a new platform for me to speak about and share how Jesus has kept me! Every detour is exciting because I know the outcome will bear good fruit! WHEW!!!! I got through it! 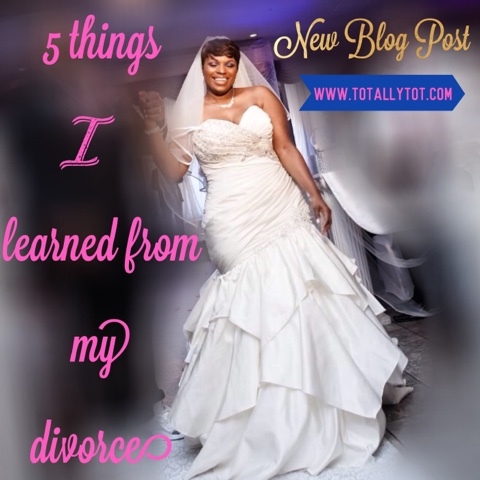 The top 5 things I learned from my divorce. I am still learning a lot but this was very therapeutic to share. I have learned to NOT let my life experiences make me, but instead shape me into being a better woman. When I had my daughter in 2011, I realized that my life had changed forever. Losing Farah taught me so much about love and loss and when I got divorced that list of lessons grew even longer. Life happens to the best of us, but it’s all about perspective. I am grateful for the opportunity and the platform to share my testimony! Are you divorced or have you recently suffered a loss?? 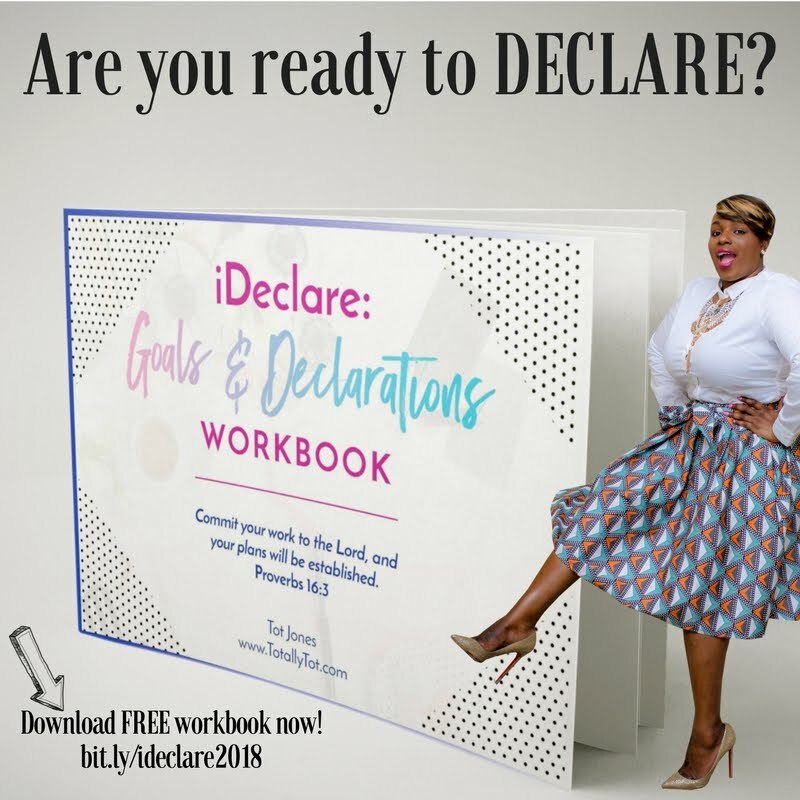 I would love to hear your testimony in the comments. Learning to GROW through it all is MAJOR KEY! Power in Growth, Power in sharing, Trust GOD gets all the Glory for your strength in Testimony!!! Love it! I too am an overthinker. Something I must work on daily. No use in worrying over small things. I'm happy to see that you have come out on top with a positive view regardless of the past. Thanks for sharing! !